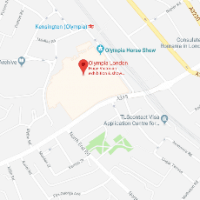 Olympia Beauty | 29 – 30 September 2019, bigger and better! REGISTRATION IS NOW OPEN FOR ALL VISITOR TYPES! CLICK HERE FOR YOUR TICKET! If you're a professional or student in the beauty industry, Olympia Beauty is the place to be! Host your own event at Olympia Beauty! THE EDUCATION CLUB is a first for the Olympia Beauty show, offering a bespoke space in which brands, educators, innovators can host their own events. Whether you're in need of space for workshops, demonstrations, training events, product launches and more, this space is for you! Olympia Beauty offers various opportunities to get involved in the best looking show in beauty! These include Nailympia London, Salon & Spa Owners' Club, The National Massage Championship, The Lash Games and Brush Wars! Olympia Beauty is the annual autumn event for beauty professionals, held in the Grand Hall at Olympia London. 2019 is it's fifteenth year, and promises to bring some of the biggest brands in make up, skin care, education & training, haircare, holistic therapy and so much more. Make sure you join us for Olympia Beauty 2019!